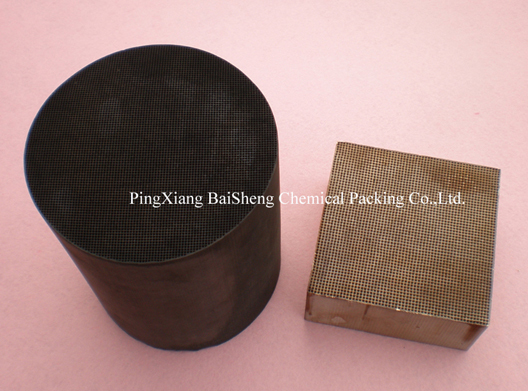 The HNMCC-A Catalyst is produced by using honeycomb ceramics material as the supporter, special material as the coat and noble metals (Palladium and platinum) as the active component, which possesses the advantages of high catalytic activity, high thermal stability, long life, low pressure drop and high intensity etc. 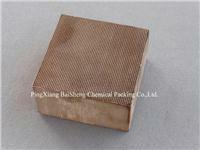 The performance of the catalyst is comparable to that of roughly identical foreign products. The HNMMC-A catalyst can be widely applied in the purification and deodorization of organic waste gas, which releases from chemical industry, manufacture of oil paint, enameled wire, metal printing, multicolor printing and leather, pharmaceutical industry and municipal sewage. The catalyst can be especially applied in the treatment of the waste gas from acrylonitrile production device.